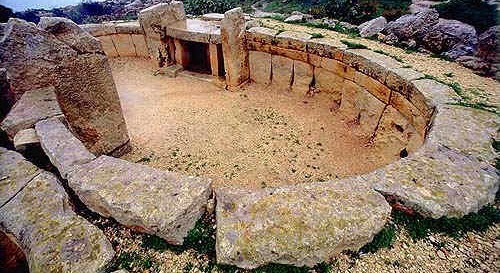 The prehistoric temples of Malta are unique in all the world. They are among the oldest standing stone structures which remain for us to marvel at from ancient times. These massive megalithic temples have been dated back to 4000 BC. Their architecture is beautiful and inspiring, their scale impressive yet human. Excellently preserved, they were covered with soil from early times and ignored by the long march of history. 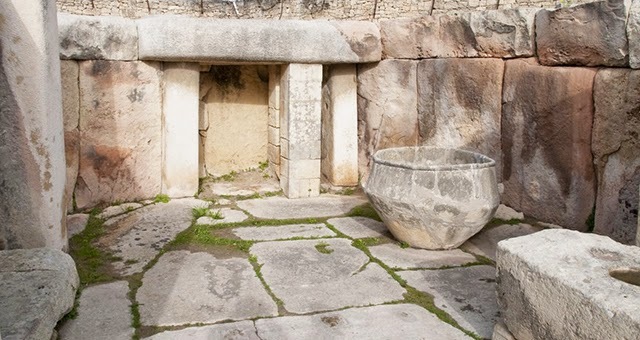 They were rediscovered and carefully restored by European and native Maltese archaeologists beginning in the 19th century. Because of their uniqueness and beauty, the major temple complexes are deservedly designated as UNESCO World Heritage Sites. Although the temples are large in overall extent, the interior chambers do not have enough room to hold more than a few people at one time. Therefore public worship in large groups, as practiced in typical churches and temples today, would not have been possible. It is likely that an elite caste of priests and priestesses carried out sacred rites inside the temples, and the public was not invited. The worship of a Mother Goddess is usually associated with female priestesses, although male figures which may represent priests have also been found. Were the temple leaders also the political rulers of the community? 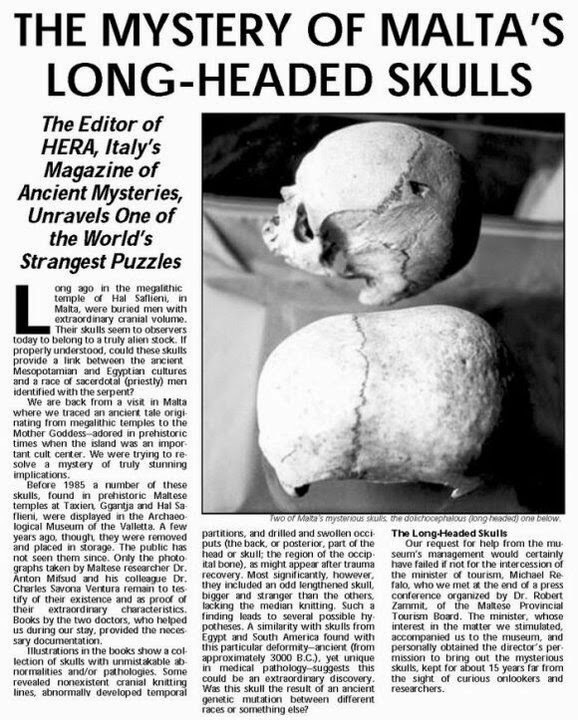 People are still searching for answers to questions such as this, for the first inhabitants of Malta left no writing behind them when they vanished, as mysteriously as they had first appeared, sometime around 4000 BC. Due to the massive size, scope, and complexity of the megalithic stone temples, and the extensive resources which must have been required to build and maintain them, they must have played a very important part in the ongoing life of the community. Without more evidence, though, we can only wonder and admire, across the gap of millennia that separates us from the temple builders. Unfortunately, very little is known about the original inhabitants that conceived of and erected these megalithic monuments. 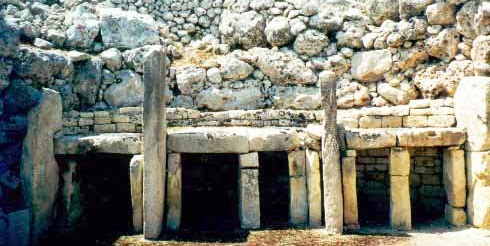 The original inhabitants of the Maltese Islands probably crossed over by sea, possibly from Sicily, which lies 58 miles to the north, sometime before 5000 BC. The temple builders were farmers who grew cereals and raised domestic livestock. They worshiped a mother goddess known from early statuettes found around the Mediterranean. Similar statues are also found on Malta, several being of uniquely large size. We know from physical evidence that worship included animal sacrifice; beyond this, little is known about the rites and rituals that took place there.